Short (adj. ): A word one does not typically ascribe to the work of Brandon Sanderson. 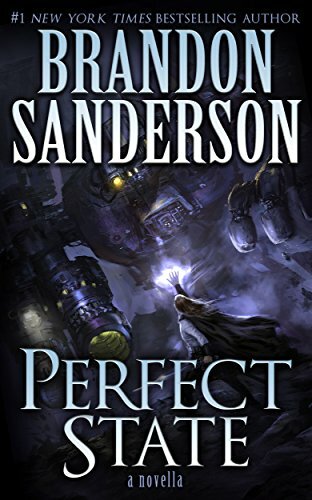 Perfect State is a novella by Brandon Sanderson that is almost all action and very little slow-burn worldbuilding that we usually get with his full-length novels. The story even feels different from other Cosmere stories. The story follows Kairominas, an emperor who has defeated all his opposition and is now rather… bored. I don’t want to say much more than that because this is a short book I’ll allow you to discover the story’s progression and conclusion. If you’re looking for something short to carry you over between reads, give this one a shot.